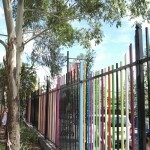 Skippedy Skip is a 2.4 metre high, 80 metre long highly coloured metal school fence. 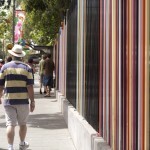 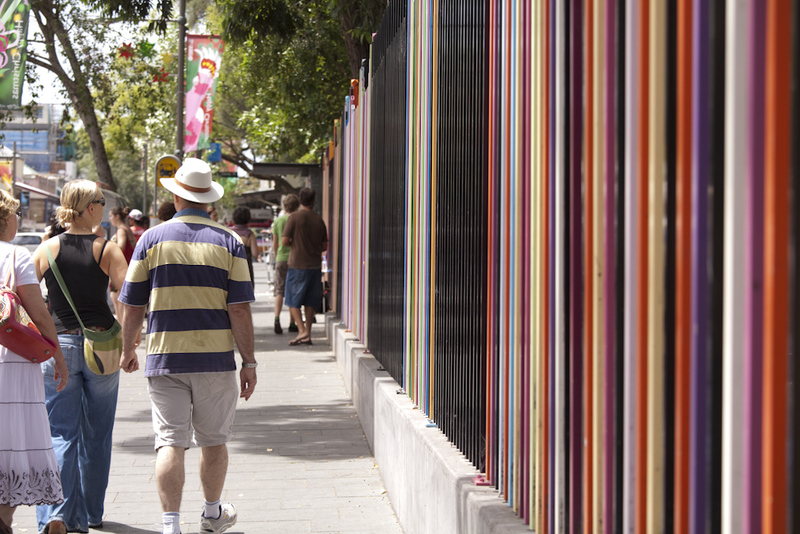 The colourful design acts as a link to Glebe’s vibrant contemporary culture. 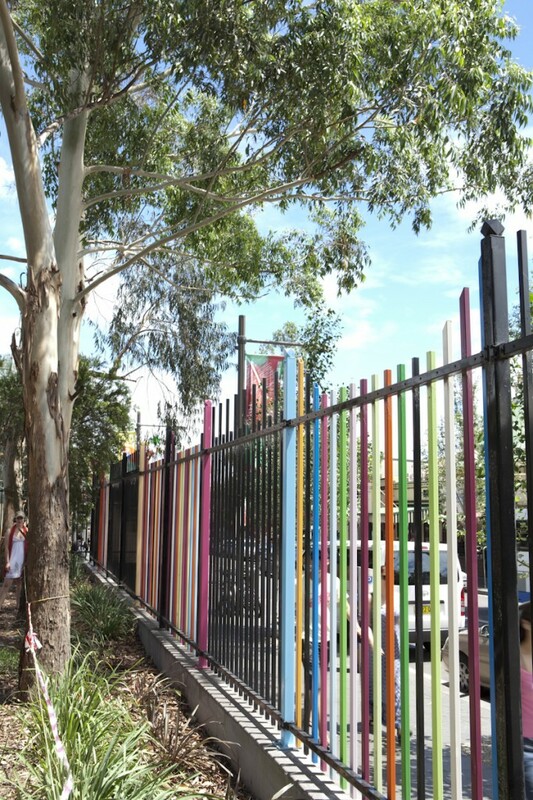 Glebe Public School turned 150 years old in 2008 and the fence became a celebration of this fact, cementing positive relations between the school and the community. 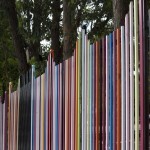 The occasion is also marked in the low wall at the right of the school gates. 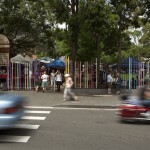 Nuha Saad lives and works in Sydney, Australia. 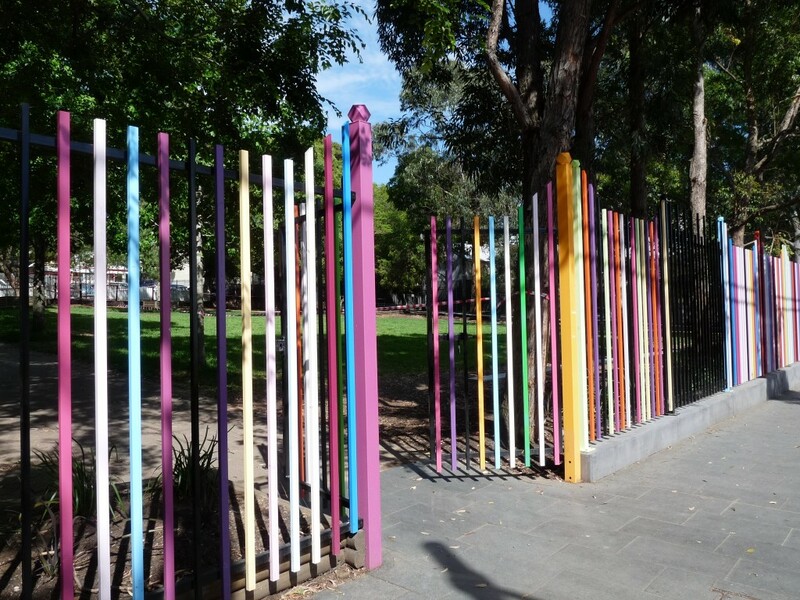 She received a Bachelor of Visual Arts from City Art Institute (now UNSW Art and Design) and a Master of Visual Arts from Sydney College of the Arts, University of Sydney. 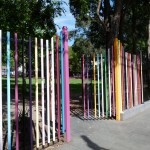 Her work involves playful investigations into colour and form. 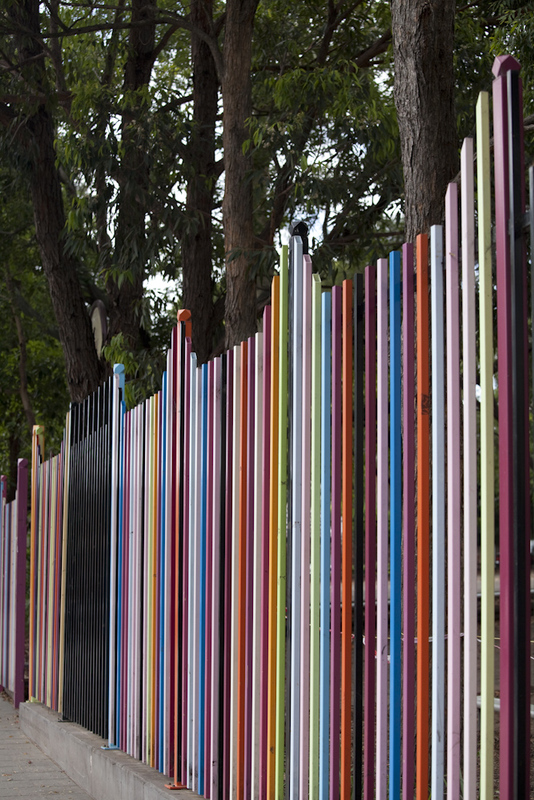 She works between assemblage, painting and sculpture, often combining ready-made objects and colour in inventive configurations. 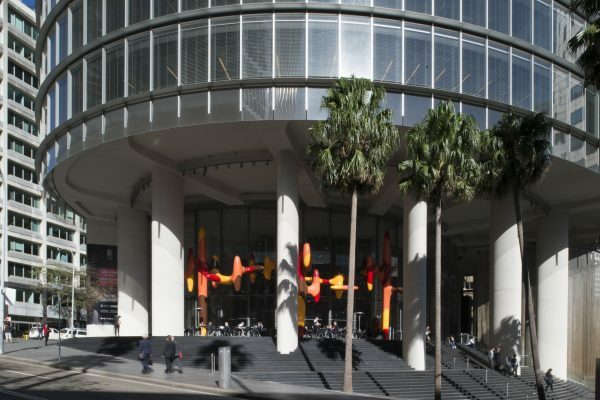 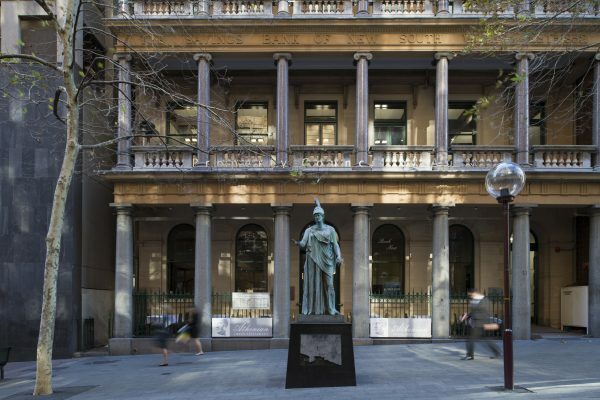 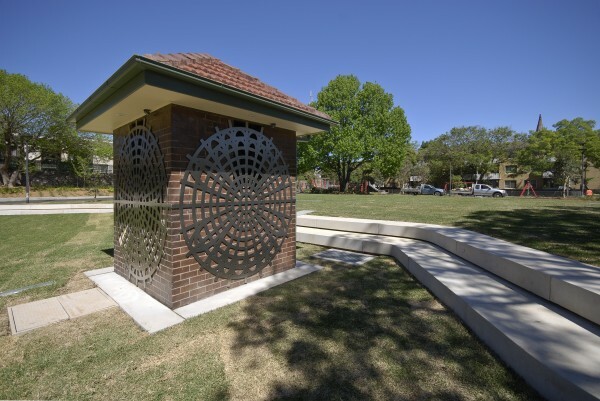 Nuha Saad has also been awarded a public art commission for Wulaba Park Green Square, part of a City of Sydney Development Project. 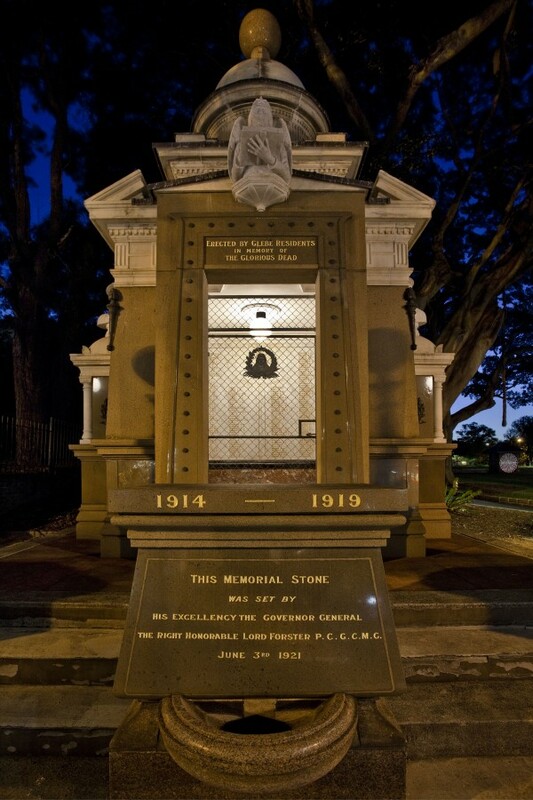 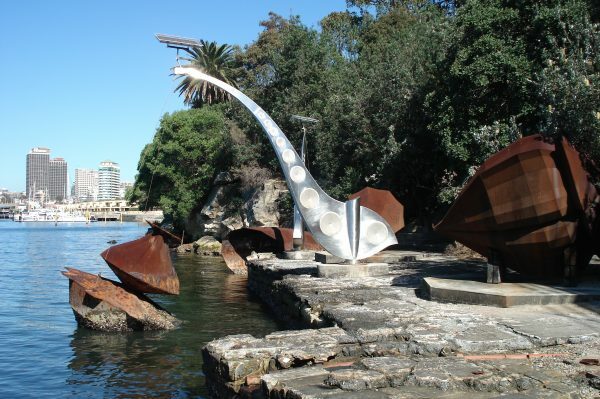 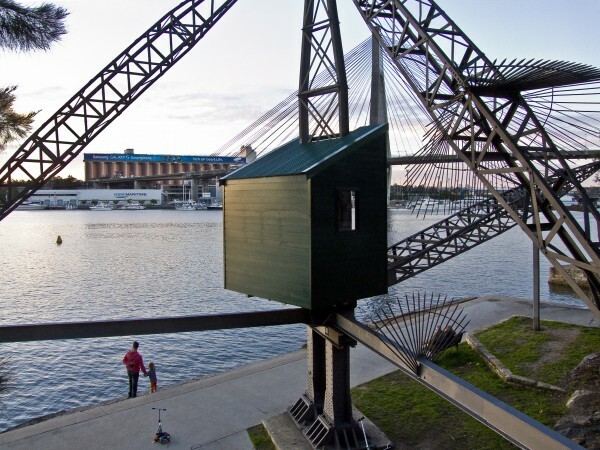 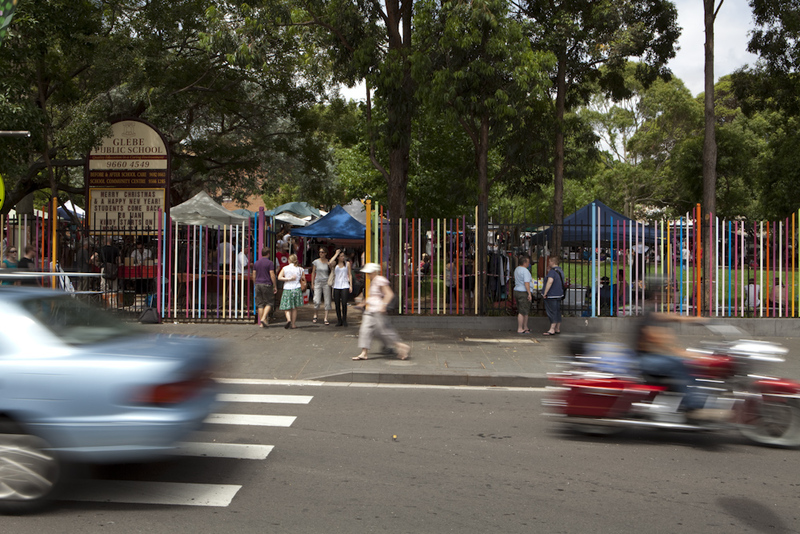 The Glebe Point Road upgrade included three public art projects developed through extensive community consultation since 2006.